If you have found the perfect Candle scent to give as a gift to your friend or loved one then this colourful gift box is the ideal way to present it to them. 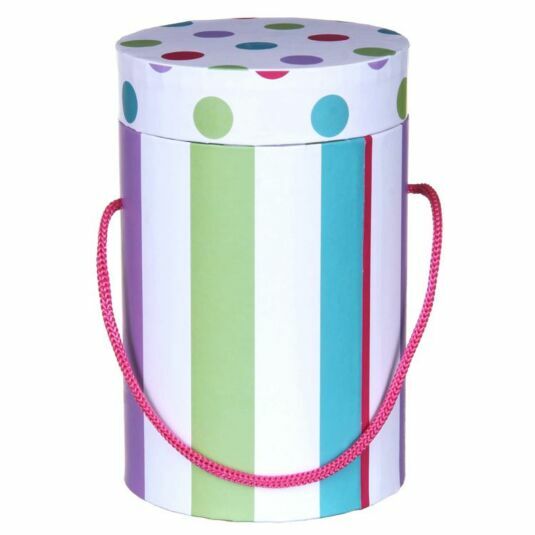 The box is cylindrical in shape and decorated with purple, green, turquoise and pink stripes and spots on a white background, with a cord carrying handle in pink. 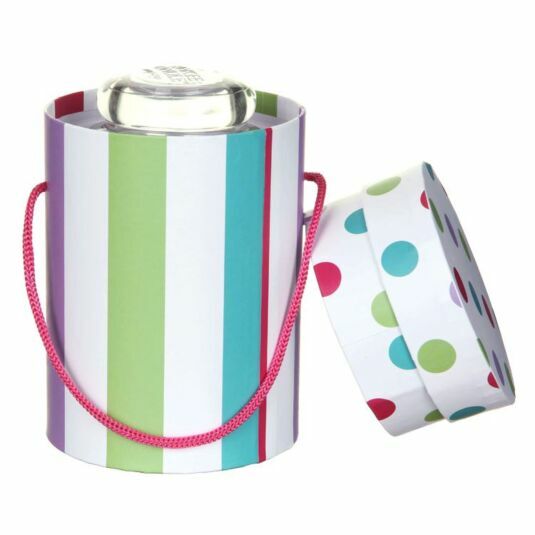 This gift box is the perfect size to fit a medium or large jar candle.